With the philosophy of “innovation for clients’ demands and dreams for competitive-priced unbeatable-quality LED driver ICs” , we established Starchips Technology (SCT) in June, 2004.After many years of efforts, the experienced and outstanding SCT team has successfully applied “high speed, precise accuracy constant current technology” in developing a series of driver ICs for HD LED full color displays and LED lightings. Starting from the second year of our establishment and up to now, SCT’s mass-produced LED driver ICs- installed in our clients’ products- have reached every corner of the world.The compliment “noble quality with civilian price” speaks our clients’ satisfaction and recognition about SCT’s products. Furthermore, it marks the achievement and honor about our leading technology, exquisite designs, and attentive service. Living up to the motto of being “integrity, professional, devoted, ”SCT has been designing LED driver ICs with “noble quality and civilian price”to fully align with clients’ various demands for specifications and prices. SCT will continue its commitment on the prosperity and advancement of LED application industry. 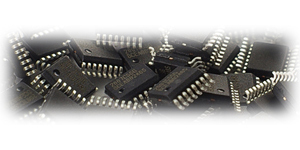 Focus on Developing Constant Current Driver ICs for LED Displays and LED Lighting. 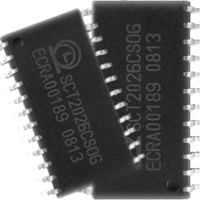 The market of constant current driver ICs used to be limited due to its inferior price/performance ratio to that of current resistors. Today from the perspective of systems, using constant current driver ICs is more favorable in terms of reducing mass production costs of system products and further improvement of product quality, functions, and values. For such reasons the application of constant current driver ICs in LED system design becomes a major trend. Taken LED constant current driver ICs as our business focus, SCT has developed a series of ASICs and standard ICs for LED displays, LED lighting, and LED backlight. Unlike other ICs teams who concentrate only on standard ICs, SCT has - based on clients’ specific needs - invented several different ASICs for LED displays and LED lighting. In addition, we fulfill our orders in a timely and quality-and-quantity guaranteed manner. The quality, performance, and price competitiveness of our ASICs have gained high recognition among our clients. Based on our success in ASICs and the principle of “noble quality with civilian price”, we also present an assortment of standard LED constant current driver ICs, allowing more choices at the most competitive prices for clients so as to create a mutually beneficial and win-win situation. With our professional design ability and relatively lower profit margin request, we present products with “civilian price” which is designed for everyone. We strictly and carefully pick our vendors and control the production flow based on scientific, precise and reliable standards PLUS pursuing the routine reliability monitoring programs, so as to achieve “noble quality”. Thus, we are in “civilian price” business and offering “noble quality” product to meet your high-standard requirement. Our devices are equipped with short-circuit and over-temperature protection as well as power on reset. Every single driver from SCT is with RoHS compliant. To innovate for clients’ demands and committed ourselves to the most competitive-priced and unbeatable-quality LED driver ICs. 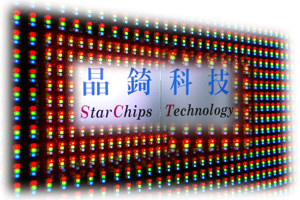 Copyright © StarChips Technology Inc.
Company address：5F, No.5, Technology Rd., Science-Base Industrial Park, Hsin-Chu, Taiwan,R.O.C.